I feel like Sharpe's Lawn Equipment should be chosen for the 2018 Indie Awards because they go over and beyond to suite the needs of their customers. 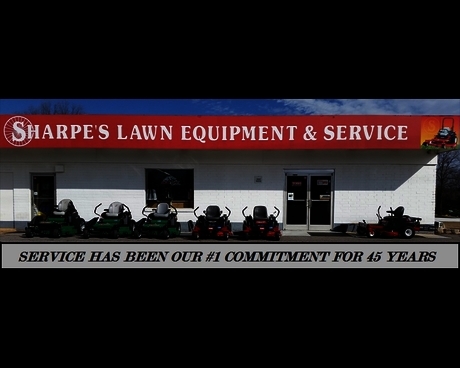 Sharpe's Lawn is a small family owned business in my home town. The business is held in it's original location and has been in operation since around 1970. The employees and owner of this business treat me like family and have always offered a helping hand and are always minded in the best interest of the customer. Everytime I wall through the front doors of Sharpe's Lawn Equipment I am welcomed with smiles and nice gestures. Sharpe's doesn't have customers... rather they have created a whole network of friends within the community and has lead to one big family of consumers and employees of the business. Every year Sharpe's Lawn Equipment host a "Pro Day". Essentially this is a day where prices are marked down and the business feeds anyone who attends. On "Pro day" Sharpe's serves BBQ, beans, slaw, drinks, and deserts to the people of the community in attendance. This allows for employees and customers to mingle, eat, and have fun. Sharpe's has always been there for my family and I. This is why I think Sharpe's Lawn Equipment should be chosen for the 2018 Indie Awards.